All he ever hoped for was to be one step closer to becoming a priest, but Masato Kamioda gets more than he bargained for when he suddenly finds himself as the only male student in a pilot program at an all-girls divinity school. 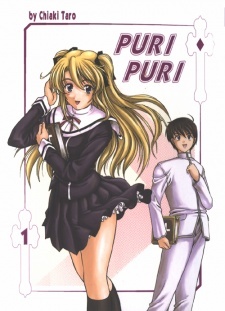 Puri Puri: The Premature Priest had seven volumes published in English by DrMaster from March 1, 2007 to October 29, 2008 before the publisher went defunct. A boxset with the first five volumes was released on February 17, 2009.